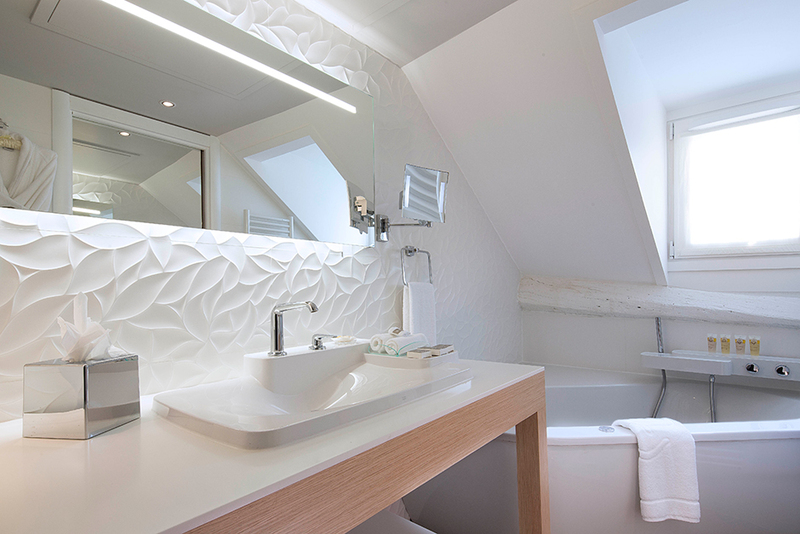 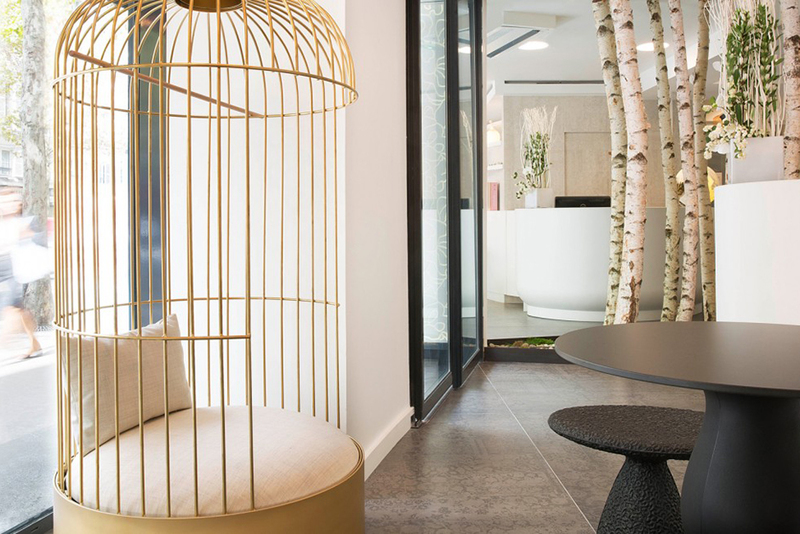 Hotel Chavanel located in historic Paris, La Madeleine, proudly reopened its doors after an exquisite redesign from Parisian architect/decorators, Anne Peyroux and Emmanuele Thisy. 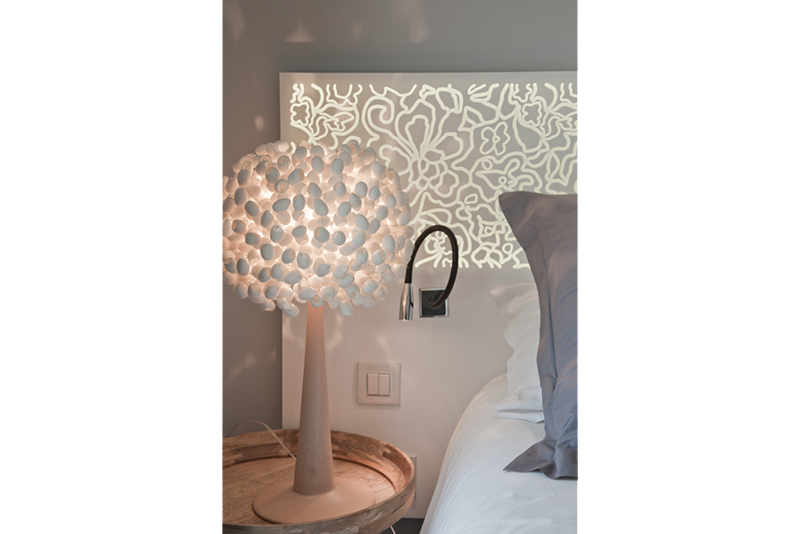 Sophie Charlet, owner and manager of family-owned boutique hotel chose the duo for their ability to marry old buildings and contemporary décor seamlessly. 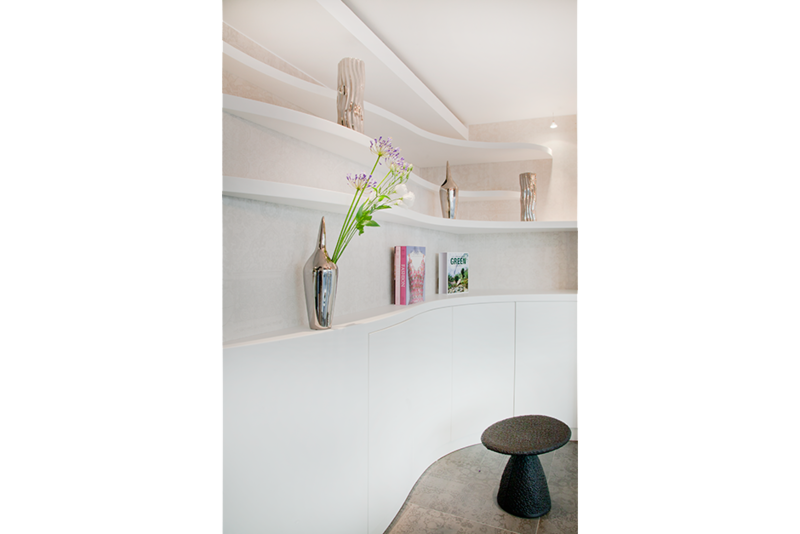 Peyroux and Thisy created the luxury interior space with attention to small details, concentrating on fabrics and lighting, rather than an obvious flamboyant display. 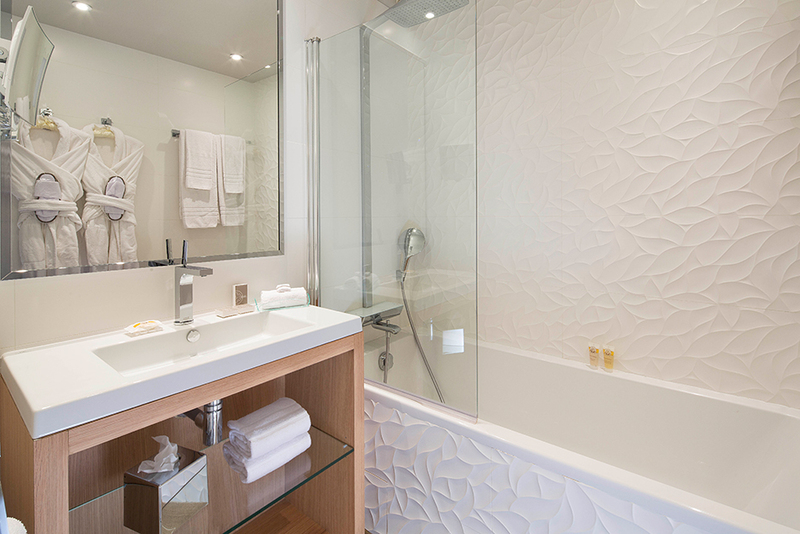 The 27 room hotel, of which two are spacious suites, opted to use Porcelanosa to help create the subtle feel of elegance throughout the building. 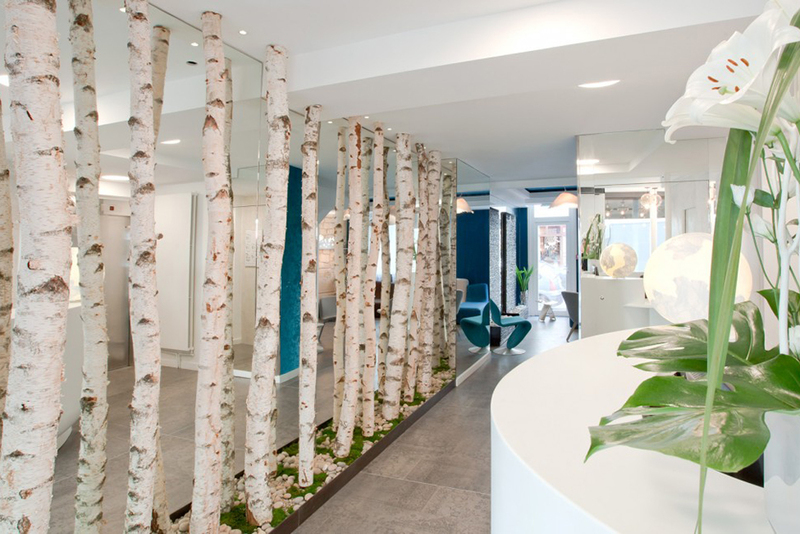 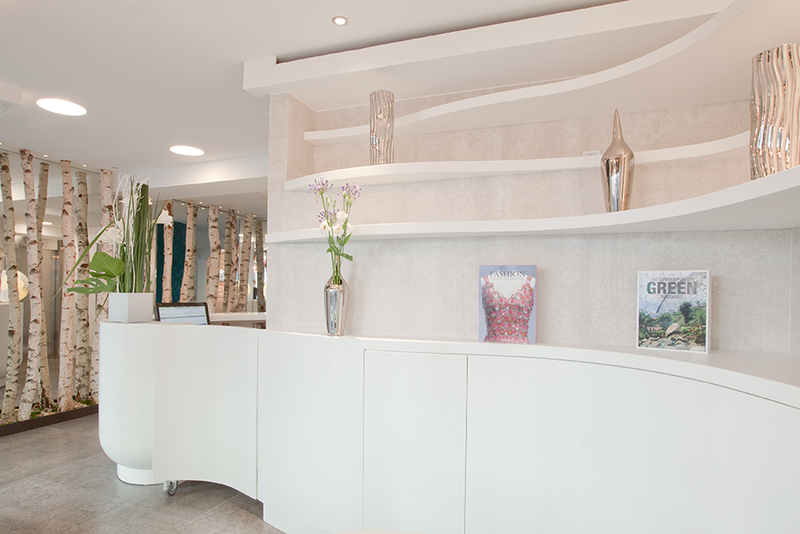 Starting in the lobby, Peyroux and Thisy designed a one of a kind reception desk exclusively for the hotel created out of System Pool, a Porcelanosa companies solid surface material Krion®. 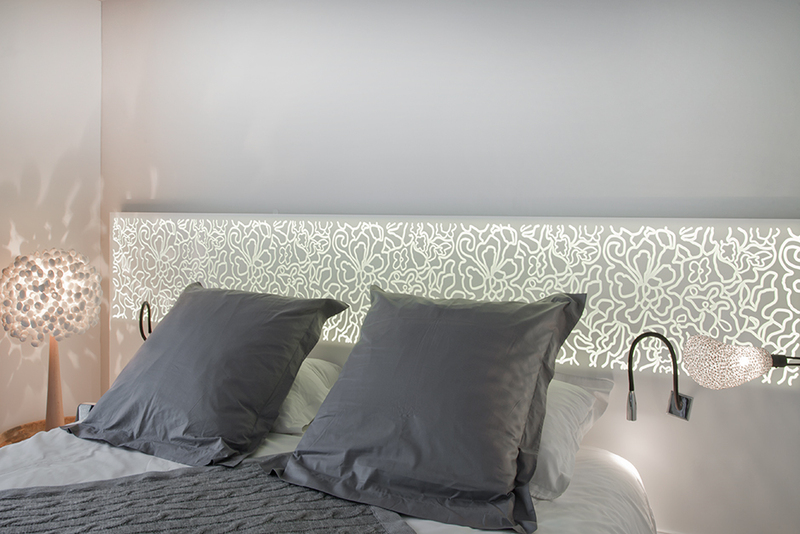 Krion® was also chosen to create custom backlit headrests in all guest rooms and were then overlaid with lace; creating something truly unique for the hotel. 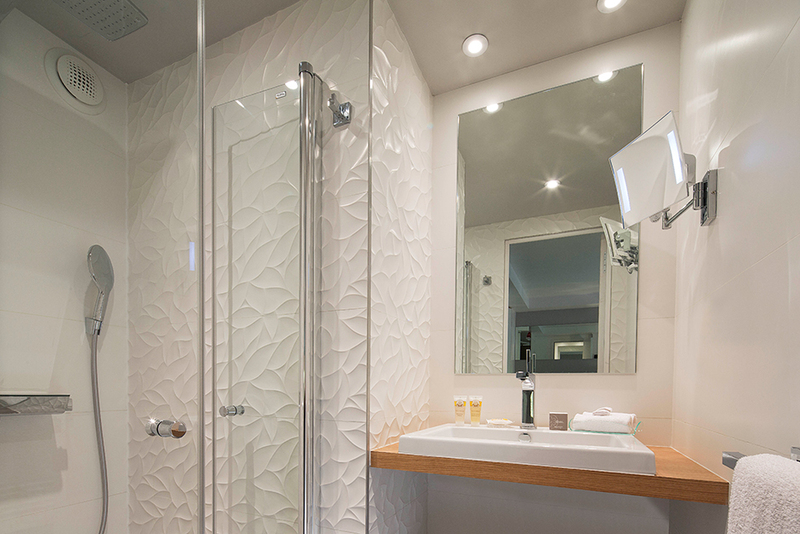 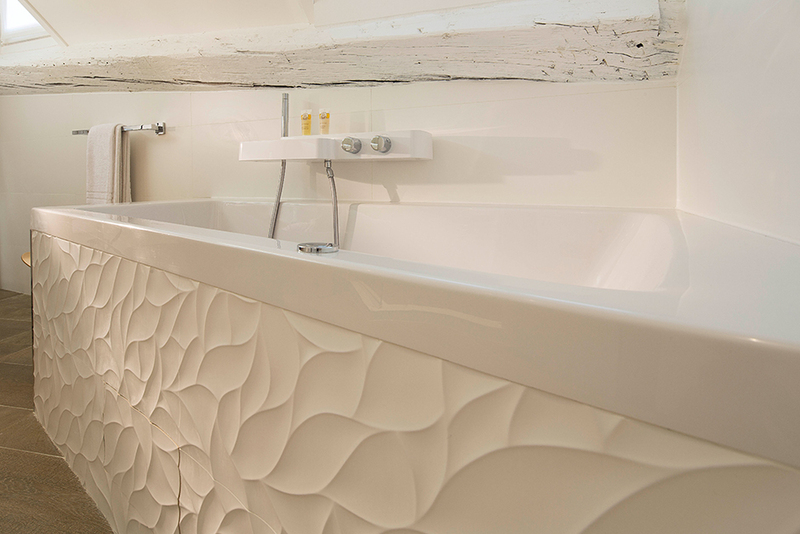 The bathrooms were designed in a cool, clean pallet using Porcelanoas white ‘Oxo’ tile to provide a decorative focal point with its beveled relief pattern. 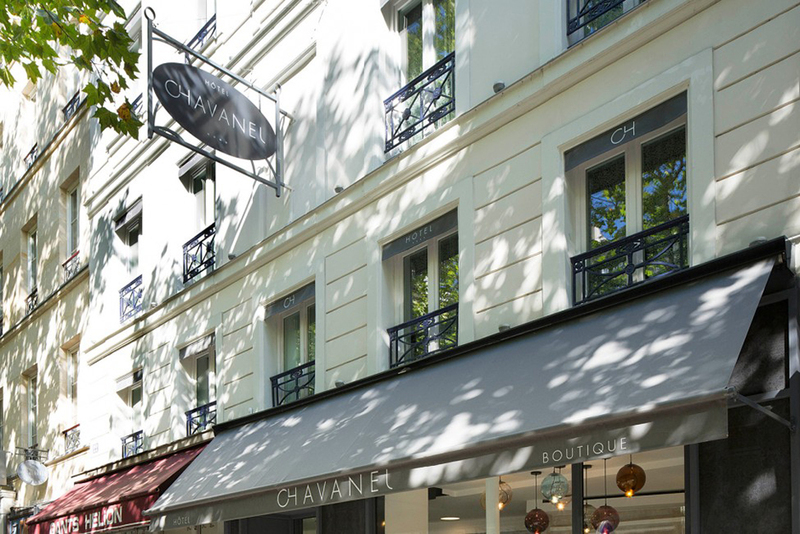 Hotel Chavanel, located on a busy street full of boutiques and department stores, creates an oasis among the chaos. 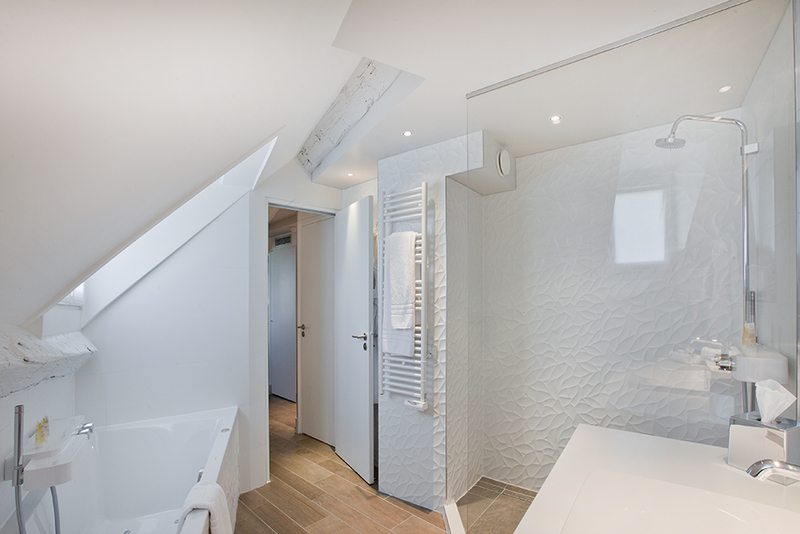 Providing a chic and personalized experience of authentic Paris for all its guests.